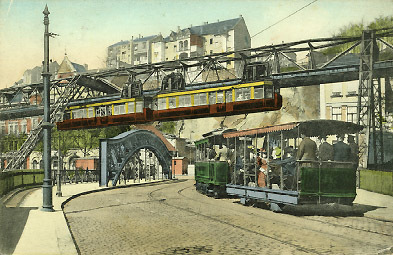 yet the reliable old monorail continues to serve the citizens of Wuppertal. 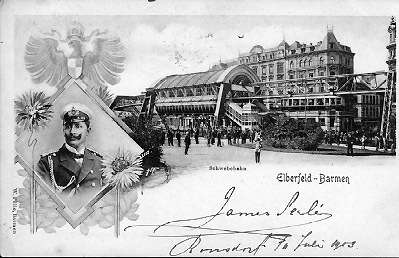 Congratulations engineer Eugen Langen, your invention was a success! 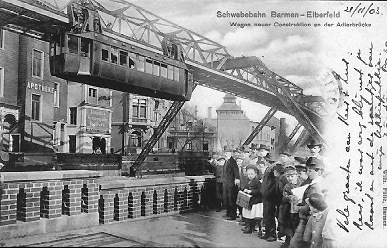 The Kaiser and the then-new Schwebebahn. 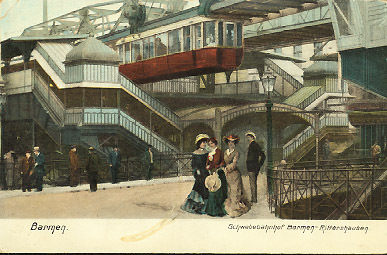 Remember when folks dressed up to go ride their local monorail? Hmmm, which one is quicker? 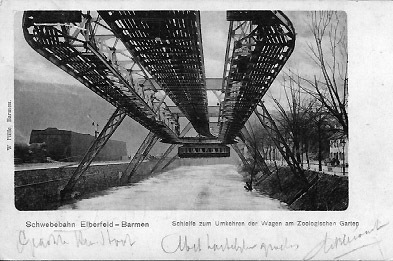 Wuppertal Postcards Page 1, Page 2, Page 3, Page 4.